Co.As.It. 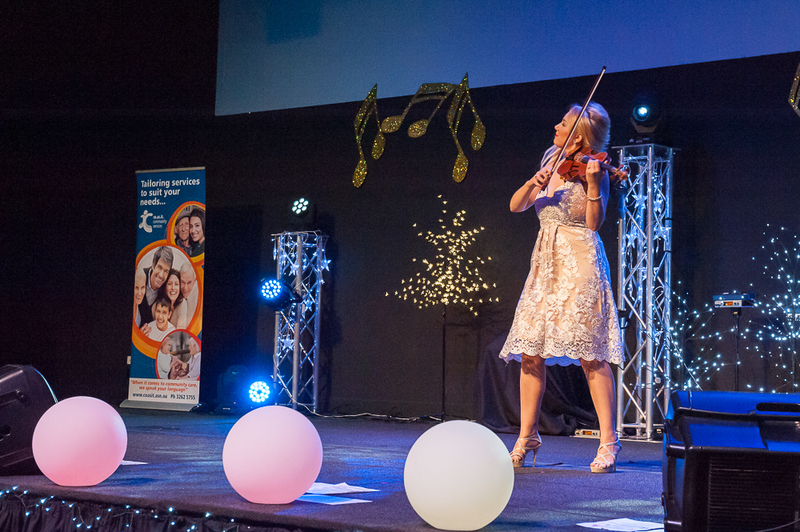 Community Services was excited to celebrate its 11th Community Concert on Saturday 25 November at the Old Museum at Bowen Hills. 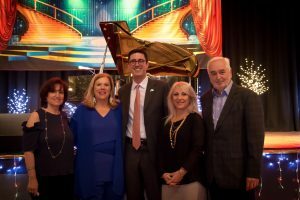 This year, over 300 guests welcomed international performer Alfio to the stage for a mesmerizing solo performance accompanied by incredible vocals, comedy, and classic piano ballads. 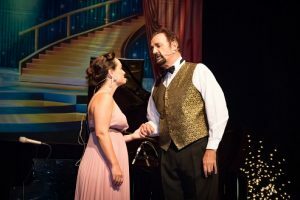 Held under the patronage of the Italian Consulate for Queensland and Northern Territory, the event also featured a special Broadway performance from Vavachi Entertainment, with soprano Gabrielle Jack and tenor Roger Davy giving new life to all-time favourites from musicals like Phantom of the Opera and Cats. From left: Co.As.It. Director Dina Ranieri, Hon. Teresa Gambaro, Italian Consul for Qld and NT Dott.  Ludovico Carlo Camussi, President of Com.It.Es. Mariangela Stagnitti, Co.As.It. President Cav. Nereo Brezzi. Master of Ceremonies for the afternoon, TV personality Damien Anthony Rossi, welcomed distinguished guests including Italian Consul for Qld and NT, Dott. Ludovico Carlo Camussi, President of Com.It.Es Mariangela Stagnitti and Hon Teresa Gambaro. After a stellar first act from Vavachi entertainment, the live show continued with the main act for the afternoon, all the way from New York, Emmy nominee Alfio. Amongst applause and laughter, the guests sung along to much loved Italian classics, with Alfio’s unique talent shining through every performance. During intermission audience members were treated to an array of Italian traditional sweets and biscuits, generously donated by Gerbino’s Pasticceria. Alfio later returned to the stage for the final act of his performance, followed by the much anticipated drawing of the raffle. 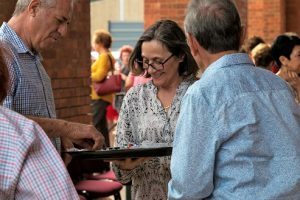 Our generous raffle sponsors this year included, Touring Abruzzo by Luciana Masci, Basile Imports, KM Smith Funeral Director, Councillor Norm Wyndham and Dendy Cinemas. Six lucky winners walked away with gourmet gift hampers and vouchers. The event concluded under the historic entry doors of the Old Museum with traditional panettone and a glass of prosecco, generously donated by Italiquore Brands Internationale. Each year Co.As.It. is excited to give something back to its community members, bringing forth a joyous start to the festive season. We would like to thank our sponsors for their continued support, and all Co.As.It. staff who contributed to a successful event. Touring Abruzzo by Luciana Masci – For 13 years now Luciana Masci, director of Touring Abruzzo has been sharing her passion for Italy with many wonderful guests. For those who dream of taking a trip to Italy and seeing all that ‘The Boot’ of Europe has to offer, there are Italy tours to suit everyone at Touring Abruzzo. Our small group tours of Italy stand out from the rest for their authentic, locally-connected guides and insider knowledge as well as the many experiences and locations we visit. For your next Italy trip, consider these undiscovered gems of central and southern Italy – Abruzzo, Puglia, Basilicata, Marche and Molise regions. It is truly the ITALY YOU HAVE BEEN SEARCHING FOR…Learn more about Touring Abruzzo’s range of tour departures, private tours and heritage/genealogy services: www.touringabruzzo.com. Basile Imports – Choose the Best, We Do. 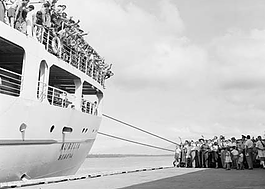 Basile Imports has built its reputation on this company motto to become a successful importer of Italian fine food and wine in Australia. 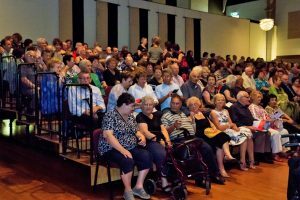 Join us for our Annual Community Concert, Saturday 25 November at the Old Museum for a special concert performance with international star, ALFIO!! Captivating audiences around the world with powerful vocals combined with charming comedic banter, ALFIO brings a new approach to the tenor tradition through his modern interpretations of English and Italian standards, classical takes on contemporary chart-toppers and original songs that bridge musical genres. In August 2015, ALFIO joined the illustrious ranks of world class performers in the United States’ Public Broadcasting Station, with the successful debut of ‘ALFIO In Concert’ followed by a national tour in key markets in the Fall of 2016 and a Top 10 Album on the Billboard charts. Additionally, ‘ALFIO In Concert’ has garnered TWO Emmy® Nominations! 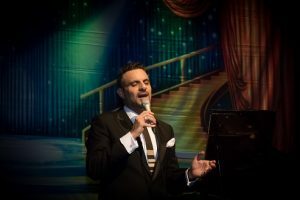 An Australian native of Italian descent, classically-trained ALFIO brings passion to his performances and draws constant comparisons to superstars Andrea Bocelli, Michael Bublè, Frank Sinatra and Elvis Presley. This charismatic singer, songwriter and musician is a modern throwback to the legendary greats, delivering a mesmerizing live show filled with much-loved classics, pop standards plus his acclaimed originals. Providing a World Class show with equal parts music journey, powerful vocals and comedy, ALFIO effortlessly brings all generations of music lovers together in one audience; and regardless of whether he sings in English, Italian or Spanish, all languages flow as one. 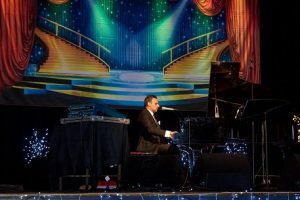 Whether sitting solo at the piano, backed by an orchestra, or singing a cappella, ALFIO effortlessly and organically connects with his audience. One of his most appealing qualities in both his music and his life is his ability to entwine generations. His music and live show is a testament to that and speaks to the sentiment for all generations to move forward while not forgetting to appreciate the classics. With a talent that is uniquely his own, one thing is clear… ALFIO is traveling in his own lane and doing it his way. There will also be a special Broadway performance by Soprano Gabrielle Jack and Tenor Roger Davy. A concert not to be missed!!! Tickets: $20 and include refreshments – spumante and panettone. Date and Time: Saturday 25 November, 2.30PM -6PM. A valid ticket must be provided upon entry. 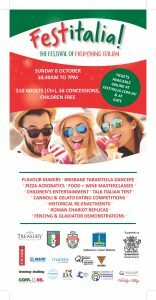 The Brisbane Italian Festival “Festitalia” will be held this year on Sunday 8th October at Spencer park at New Market. Co.As.It. 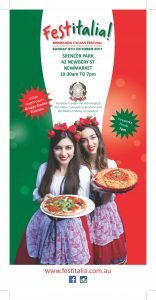 is happy to support this annual event celebrating Italian culture and the Italian community in Brisbane. We will also be participating with a photographic exhibition of Venetian Masks and together with delicious Italian food, folklore dances and traditional Flagthrowers, it will be a day not to be missed! Last Wednesday 23 August, Co.As.It. 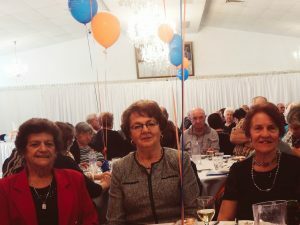 was proud to celebrate this year’s Seniors’ Week with a luncheon event at the Tavernetta Function Centre at Carseldine. With the support of COTA, Co.As.It. was happy to share and recognise the many contributions made by seniors in our communities, helping to improve community attitudes towards older people and aging. On arrival guests had the chance to mingle and catch up with old friends before the start of the event. 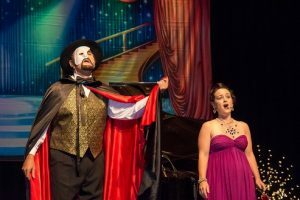 Italian tunes filled the room as entertainers Walter Morellato and Cathy Drummond began prepping for their 2 Timing performance. After initial speeches from Co.As.It. President, Cav. Nereo Brezzi and Co.As.It. Director Dina Ranieri, guests where moved by the words of a Co.As.It. client who was kind enough to share his story and gratitude for the help and support Co.As.It was able to provide in his greatest time of need. The heartfelt speech resonated with many of the guests and staff. After a delightful buffet lunch it was time for our inspirational guest speaker, Beverley Rilatt-Richardson who shared with us that ‘Age is no barrier to happiness’. Beverley spoke about her inspiring journey starting out as a welfare worker, and her many achievements including being the oldest contestant on the first Australian reality TV show ‘The Mole’, and starting her own business at the age of 68. Her journey was inspiring to many, showing our community that age is no barrier. 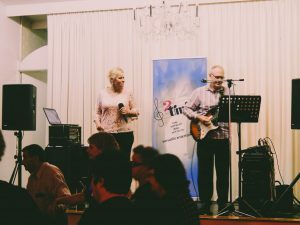 Walter Morellato and Cathy Drummond later entertained guest on the dance floor with timeless hits and some old Italian favourites. It was a delight to see community members enjoying a good dance. 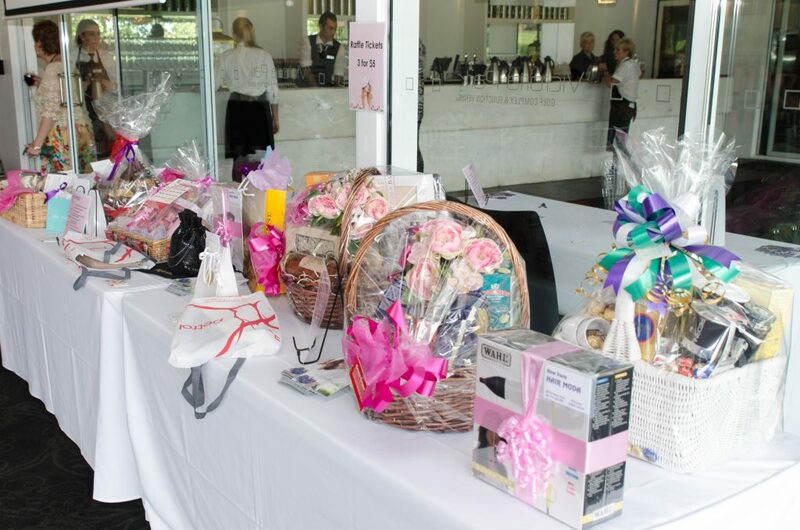 The drawing of the raffle had many guests excited with 2 scrumptious gift baskets up for grabs from The Little Shop at Virginia, as well as a beauty voucher from Lynne Pai Beauty at Carseldine and two $250 photography vouchers from Deep Grey Photography. The prizes didn’t stop there though, with one lucky winner from each table walking away with a special lucky door prize. Co.As.It. would like to thank all the sponsors for their generous donations and support as well as our guest speaker Beverley Rilatt-Richardson. We would also like to extend a special thank you to COTA for supporting our event. Co.As.It. 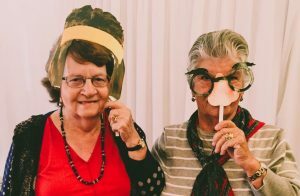 Community Services celebrated yet another successful International Women’s Day Morning tea, last Saturday 4 March at the Victoria Park Golf Complex. This year Co.As.It supported the global theme “Be Bold For Change” calling on the community to help forge a better working world – a more gender inclusive world. The event reminded community members that each one of us can be a leader within our own spheres of influence and that taking bold pragmatic action can be the first step in accelerating gender parity. 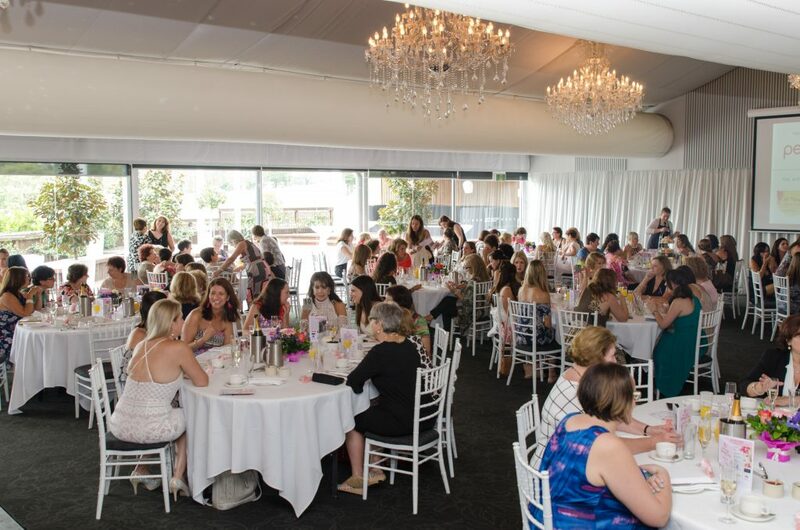 Hosted this year by Channel 7’s The Great South East, Damien Anthony Rossi and The Voice Australia’s Naomi Price, the morning tea brought together over 250 women, recognising and celebrating their unique contributions, whether it be in their professional or personal lives. 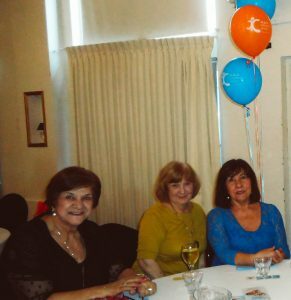 Distinguished guests on the day included, Councillor for Central Ward, Vicky Howard, President of COM.IT.ES. for Qld and NT, Mariangela Stagnitti and Manager Community Care PHN Brisbane North, Michele Smith. Apologies were read out by Co.As.It. Director Dina Ranieri on behalf of Hon Grace Grace MP, Hon Shannon Fentiman MP and Senator Hon Concetta Fierravanti-Wells who sent through a video message addressed to all guests celebrating International Women’s Day. 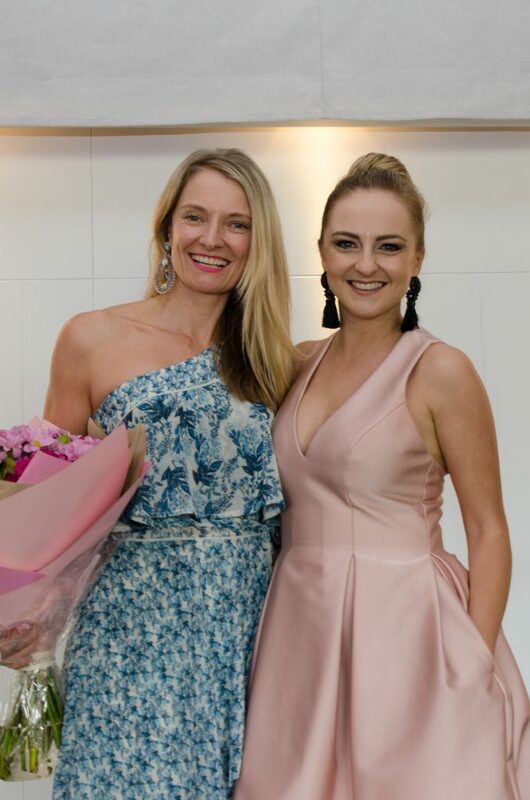 Fashions from Petrol Paddington elegantly graced the runway once again for a fabulous fashion show. Conducted by Petrol owner Sonia Gold Dooney, the latest on style trends walked the catwalk showcasing a mixture of day wear evening wear and glamour. This year’s guests were encouraged to share the International Women’s Day message on social media with the help of a fun photo corner set up with various props. It was great to see the support and engagement from the audience for this important cause towards equality. The highlight of the event was of course the drawing of the raffle prizes. Each year Co.As.It. 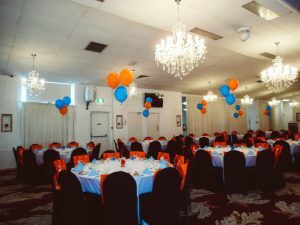 is overwhelmed by the generous support from businesses and individuals donating a prize to help raise funds for their Aged Care Program. Co.As.It. 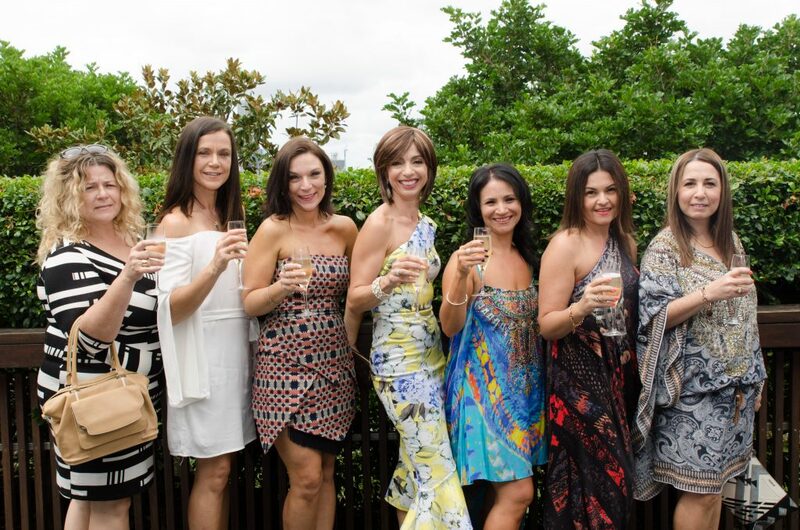 would like to give a special thanks to its major sponsors, Petrol in Paddington for the fashion show parade, Mt Thompson Memorial Gardens for the lovely flower centrepieces and Italiquore Brands Internationale for the flowing prosecco during the day. Blue Illusion, Cr Norm Wyndham, Uno Salon, Deep Grey, Brazilian Beauty Clayfield, Ultra Painting, Diva Hair Ascot, Robertson Gardens, Dello Mano, Hon. 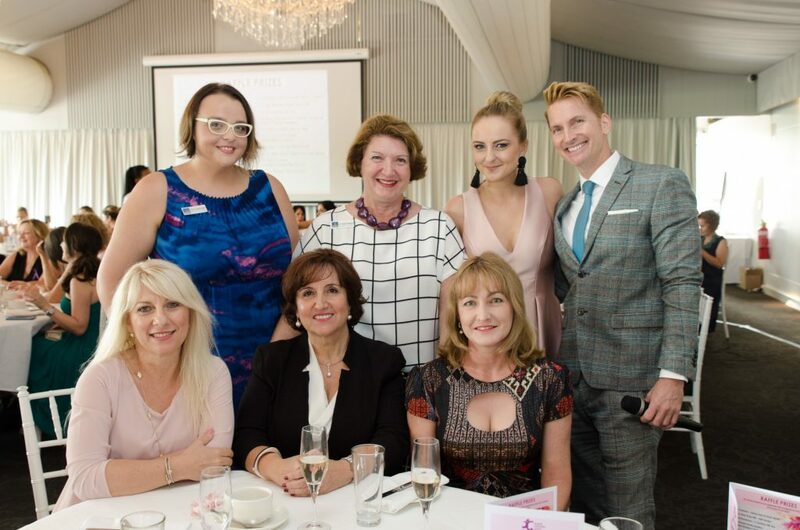 Grace Grace MP, Azentro, Peter Russo MP, Crown Family Jewellers, Ink for Hair, Shine Beauty Salons, Ella Bachè New Farm, Jeanette Thomas Nail Studio and Flora di Lizio. 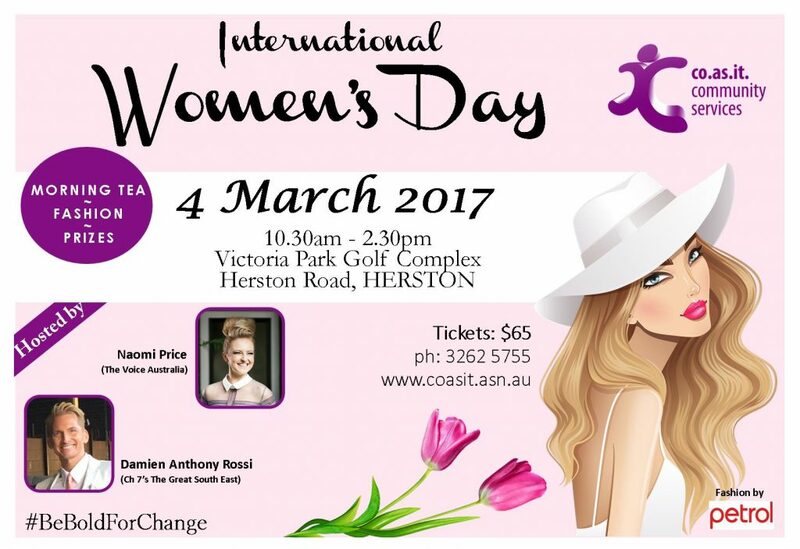 Co.As.It’s Annual International Women’s Day celebration will be taking place on Saturday 4 March. 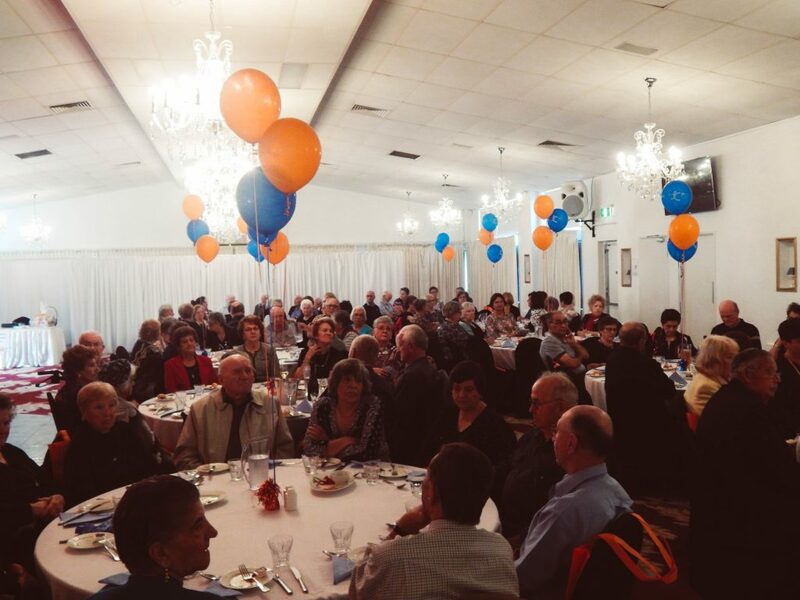 The Morning Tea event will be held at the Victoria Park Golf Complex from 10.30am –2.30pm. The event is a great way to celebrate and recognise women in our community along with their many achievements, both personal and professional. Co.As.It. is very excited to present this year’s hosts, Damien Anthony Rossi from Ch7’s The Great South East and The Voice Australia’s Naomi Price. Be sure to expect lots of fashion, prizes and a lovely ‘girls day out’. Seats are limited, to book your table contact Co.As.It. on 3262 5755. Co.As.It. 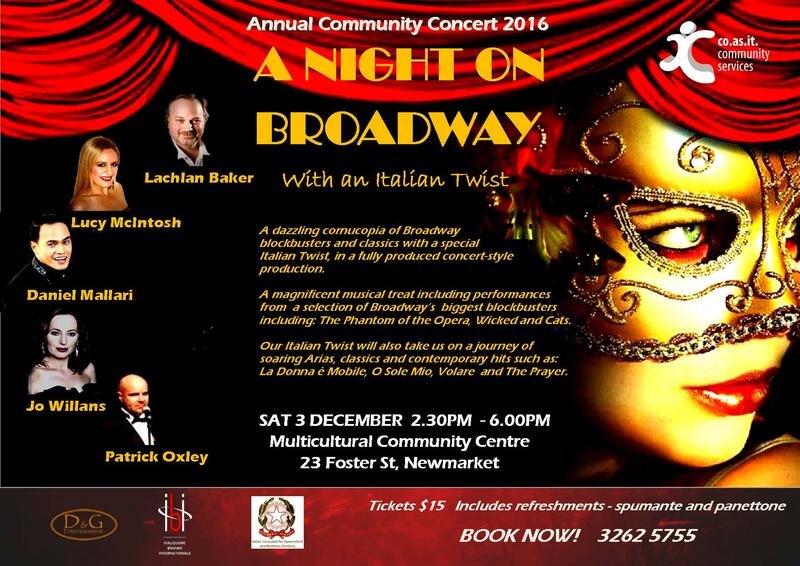 celebrated its 10th Annual Community Concert last Saturday 3 December at the Multicultural Community Centre at Newmarket. 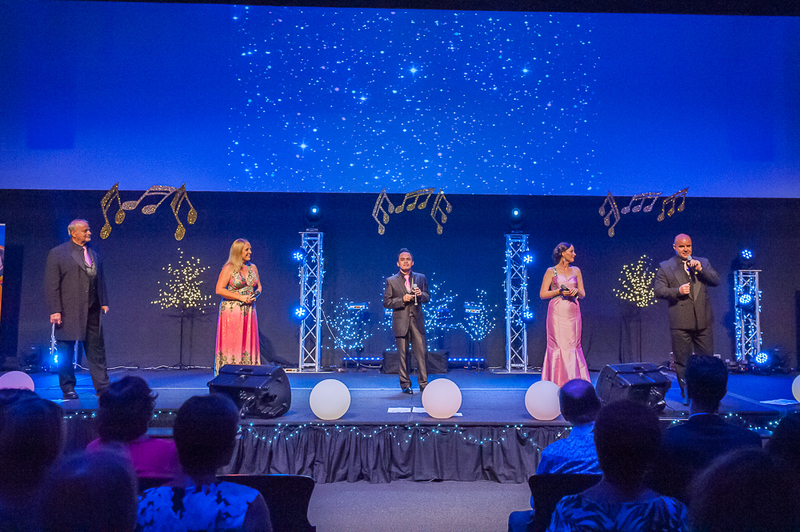 Held under the patronage of the Italian Consulate for Queensland and Northern Territory, the event had its 350 guests singing, dancing and giving standing ovations. 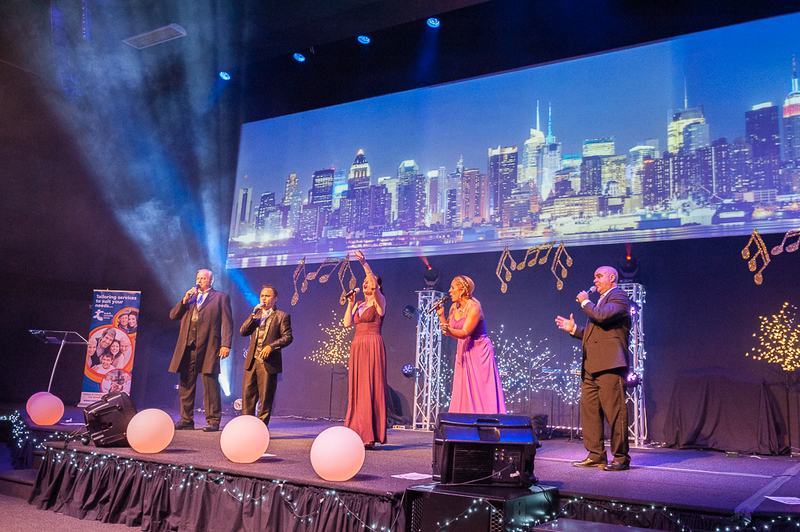 Produced by D&G Entertainment, “A Night on Broadway- With an Italian Twist”, filled the theatre with Broadway hits, soaring arias and Italian classics, all performed by the stellar cast of Popera Classics. Master of Ceremonies for the afternoon, Hon. 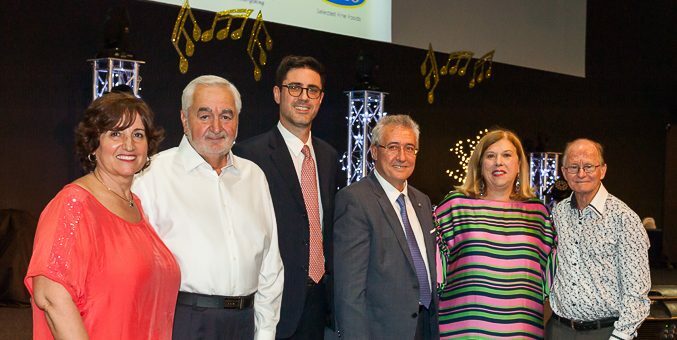 Teresa Gambaro welcomed distinguished guests including Italian Consul for Qld and NT, Dott. Ludovico Carlo Camussi, Councillor for McDowall, Norm Wyndham, and Member of the Italian Senate and part of the Democratic Party, Senator Francesco Giacobbe. It was great to see the support of the Italian community still so strong with many Italian Associations’ representatives also in attendance. 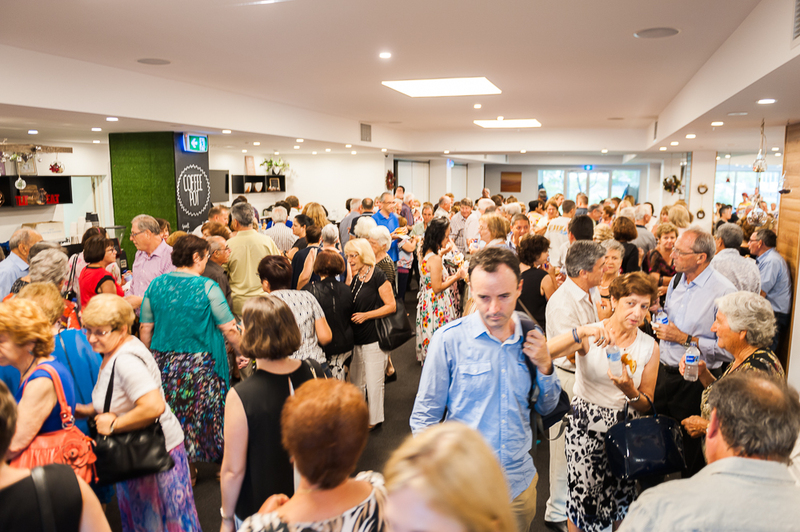 At the end of the first act, community members were able to enjoy a chat amongst friends and some delicious chocolate krapfens, generously donated by Visco – Selected Fine Foods. 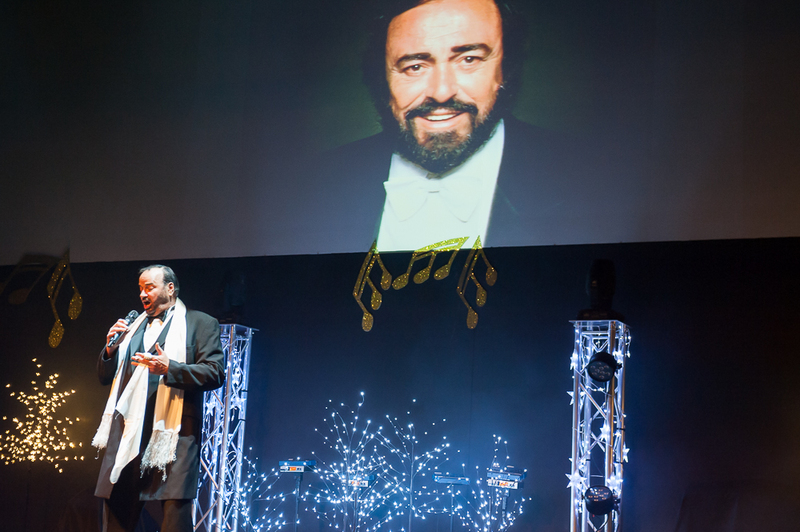 The second act followed with more outstanding performances and concluded with a special grand-finale, a tribute to the late great tenor Luciano Pavarotti. After encore performances and standing ovations, the Hon. Teresa Gambaro was happy to announce the eight lucky winners who walked away with one of the generously donated raffle prizes. All guests were later invited downstairs to meet and greet the cast, concluding the evening with a slice of panettone and a glass of spumante, proudly sponsored by Italiquore Brands Internationale. Each year Co.As.It. is proud to be able to give something back to the community, always keeping entry tickets to a minimal so everyone is able to share in the celebration. Behind this great organisation stands its dedicated staff who, even this year, contributed their time to ensure the event was a success. From left: Co.As.It. Director-Dina Ranieri, Co.As.It. President-Cav. Nereo Brezzi, Italian Consul for Qld and NT-Dott. Ludovico Carlo Camussi, Member of the Italian Senate and part of the Democratic Party-Sen. Francesco Giacobbe, Hon. 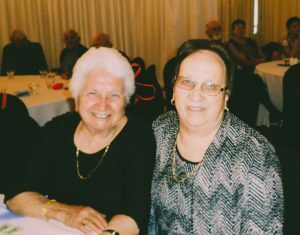 Teresa Gambaro and Councillor for McDowall-Cr. Norm Wyndham.